I use to think all fishing rods were the same. I met an angler at a tournament that was using these rods made by Kistler. I asked him if I could see one and couldn’t believe how comfortable it felt. It was very light yet had a strong back bone. After doing much research on this company I learned several things I liked about them. 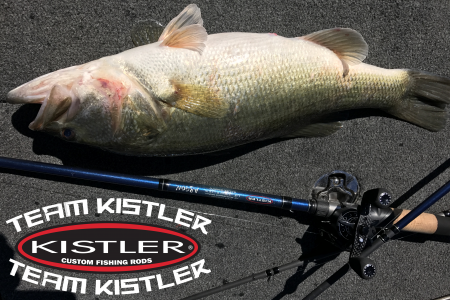 First and foremost, all Kistler rods are entirely made in the USA and that was a major plus. The owner, Trey Kistler is a humble and God fearing man, he runs his business with his strong Christian values. He is very involved with day to day operations. His rods are made to fit your needs, whether you’re a tournament angler or fishing for Crappie. They’re strong, yet sensitive, and when you’re fishing tournaments you can’t afford to lose fish. I have had times I could barely feel the fish nibbling on my bait but with that Kistler KLX Feel n Reel rod there wasn’t any question. My catch ratio has gone way up since I started using Kistler Custom Rods.